In early 2015, a little app named Meerkat, which allowed users to live-stream their activities, burst onto the scene and attracted a great deal of buzz. Shortly after Meerkat’s launch, Twitter joined in with the launch of a recent acquisition, Periscope and quickly gained market share. While it looked like it would be a two-horse race for the long-haul, Periscope has undoubtedly broken away from the pack and is now the driving force in the live-streaming market although Facebook has entered the market recently with their formidable Facebook Live broadcast product. So just how big has Periscope become? 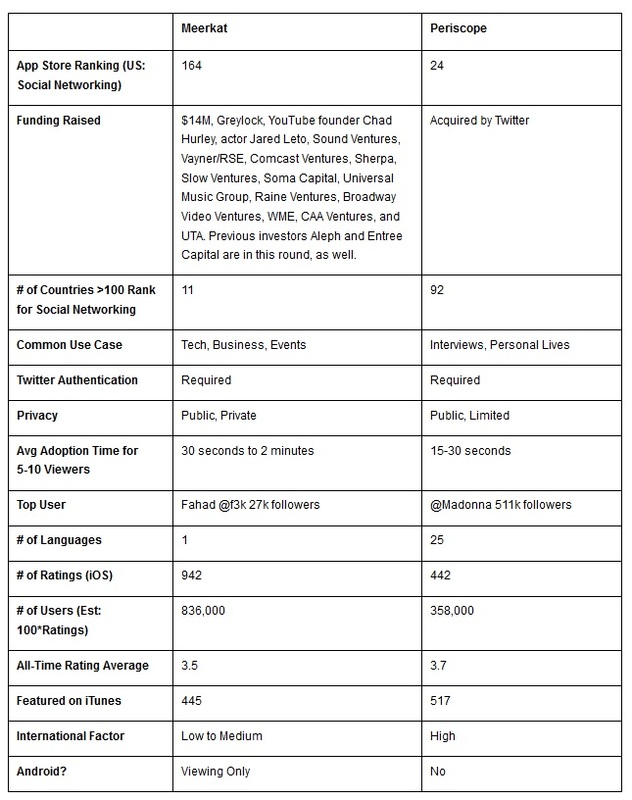 Here are the more interesting stats and facts I was able to dig up for Periscope. As always, I will be adding more and updating these periodically as I find new stuff. Be sure to check back regularly. Please note that some of these numbers are easier to find than others. A few of these Periscope statistics come from Twitter’s own reports, but some are based on news reports and not official company tallies. Basically, this is the best I can find and I don’t guarantee anything to be 100% accurate.